Earlier today, in my preview of Twin Mirror, I wrote about my exceptional detective work in the case of the bloody shirt. In addition to showing off my abilities at solving out what happened last night, and finding myself somewhat intrigued by the prospect of Twin Mirror. During Gamescom, I was able to have a chat with Matthew Ritter, the writer, Hélène Henry, the Narrative Producer and Fabrice Cambounet, the Senior Producer. Here’s what we talked about. Chris Wray: The name Twin Mirror, is that hinting at any inspirations? 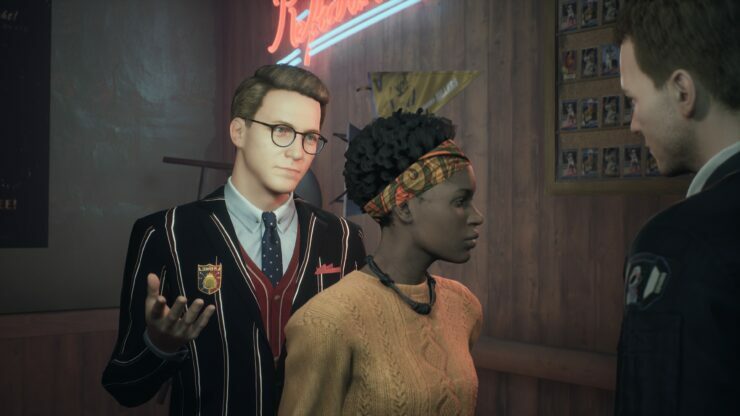 Honestly, one of the impressions I got with the name and playing was Twin Peaks. Hélène Henry: I wouldn’t say that. It’s not an issue that you have a kind of Twin Peaks vibe in the game and title, we love that series. Especially the variety of characters, the weird ones. It’s not intended, but why not! Matthew Ritter: Of course, the stuff that inspired Twin Peaks, like Northern Exposure and lots of other shows and movies that take place in small towns, like Salem’s Lot, have that small intimate feel. It’s very much a part of what we’re going for here. Whether or not the title was inspired by it or not, it’s not a bad thing to evoke. Chris: One thing that sticks in my mind is the twin-world system, the mind palace. What, if anything, inspired that idea? Matthew: I don’t know that anything directly inspired it. Of course, there are lots of movies and other games and things, such as Sherlock, that have the mind palace. There’s a long tradition of noir detective stories where characters have to figure things out. What’s the best way to do that in a video game? Actually, go into their mind and show them working through things and trying to solve the problems. All this in a way that is also able to be represented in gameplay. It naturally came from that desire to tell a detective story and make it interesting. Chris: So you collect clues which add elements and expands what you can do with a scene. Are there clues that are missable, anything that could affect story elements and impact later in Twin Mirror? Hélène: The idea is not that you can miss something but that you project your hypothesis and understand what happened, what has been forgotten. Also to make sure you see where you’ve added a new piece of the puzzle. Matthew: Say the part of the game is where things branch, there are a lot of options for how you do and don’t interact with things. Not interacting with things, in general, would be people, the more emotional part of the story. Chris: The character you speak to in the demo, who exactly is he? Is he sort of a devil, going by the view of the subtitles, or another personality? Matthew: You mean the glow around them? Fabrice Cambounet: It’s nice that you noticed the glow. You don’t really know where this guy is coming from at the start of the game. You’ll get to understand more over the course of the game. But it’s not the devil, a different personality, his conscience or whatever. We call him The Double. I think he’s the most interesting parts of the game, one of the unique features. He’s actually part of Sam’s projection of himself. He’s there to react to the choices that you make, he’ll often try to guide you through the choices. One of the most important parts of players choices will be to choose to follow his advice or not. This is the way you’ll decide how your character will evolve throughout the game and how you will end up, basically. He’s a pivotal character of the story but at the start, you’ll not really be sure where he’s coming from, but you’ll understand better. Chris: So, you can converse with him and he’ll guide you. Does he have an impact in any other way? Any physical elements or more? Matthew: He’s not physically in the space. He’s a character that very much exists in Sam’s mind. What he represents and how you interact with him is something you definitely have to discover as you play through the game. Chris: Is Sam the only person you’ll control throughout the game? Matthew: Yes, you control Sam. You play Sam, you make his choices and you help him grow as a person, whether he wants it or not! Matthew: Well, do any of us really want to grow as a person? Chris: Nah, takes a lot of effort really! Matthew: Exactly! It’s a guy in his early thirties who’s stagnated in life. Now something has happened and he has to change, he has no choice. Chris: You’ve mentioned choices. While I was playing, it told me “There will be consequences”, or something along those lines when I picked up the bloody shirt. Are these choices and consequences long-ranging, lasting throughout the story? Matthew: Oh yes, these are choices that may affect your right up until the last moment of the last episode. 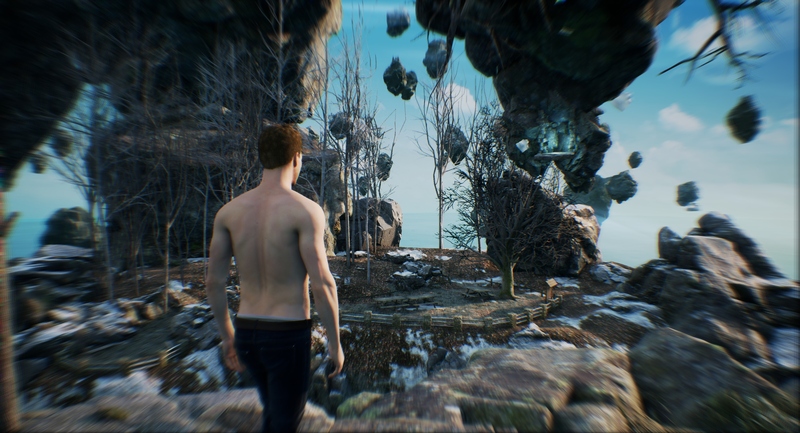 Chris: Is Twin Mirror a game with internal episodes or an episodic game? If an episodic game, how many episodes will there be? 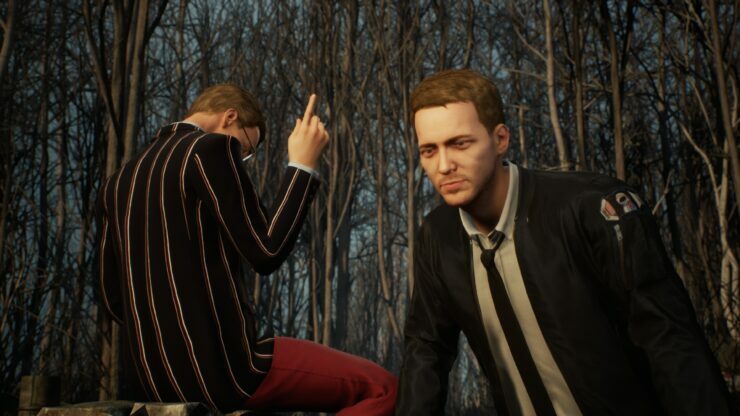 Fabrice: So yes, it is an episodic game just like Life is Strange. We have three parts, the first will be released early next year. The episodes will be released a few months apart. Chris: I’m quite curious. When does this take part? I’m assuming it’s within the first episode, but does this take part at the start of the game or a little later in so we’ll be tasked into finding out how the blood got on the shirt? Matthew: So Episode One starts with you coming to a wake of a friend. You deal with that for a little bit and then you wake up. So you see the beginning of the night and see the beginning of the next morning. You’ve missed everything since you’ve started really drinking. Chris: It’ll be a case of piecing together what happened throughout the day? Chris: Will some scenes be more open, with larger areas, or will most take the part in similar areas as the hotel room? Hélène: In some levels, you’ll have the possibility to explore the town and talk to the inhabitants. Still, it’s not an open world. It’s just the chance to explore relationships, to see people you haven’t seen for a long time. Sometimes you can have an impact on their lives if you decide to. You can also decide to be a loner if you want. You can go through what you need to do and just what you want to do. 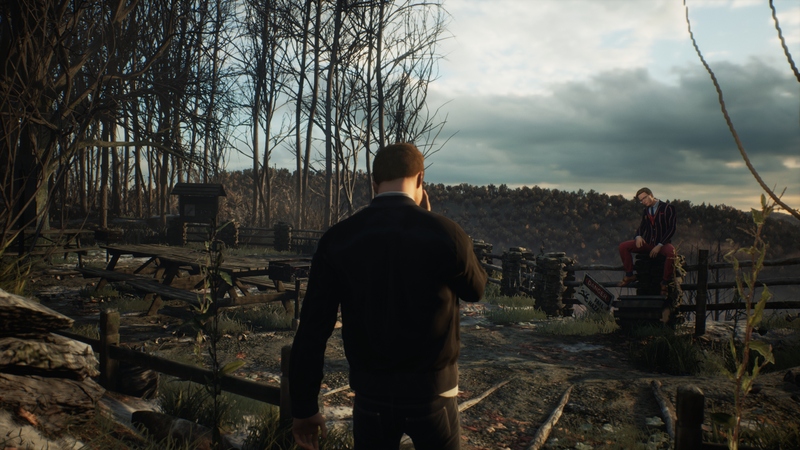 It’s really up to the player to decide how much they want to explore the town and come back to the people that Sam knew from his past. 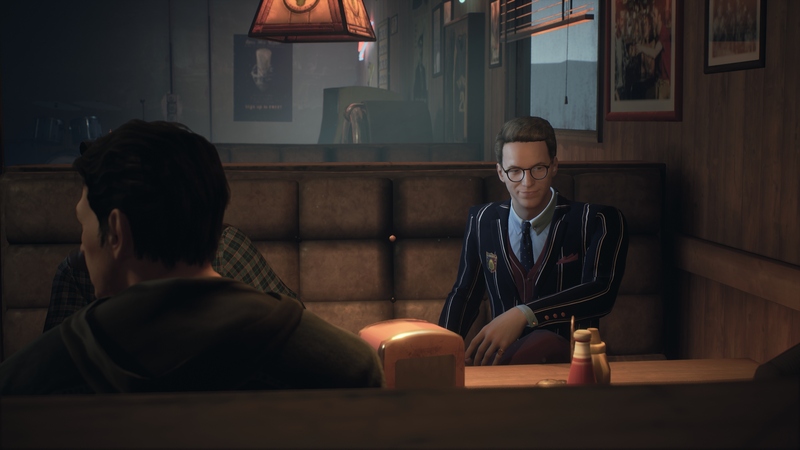 Chris: With the people, you can interact within the town, are these sometimes just side stories with others that have a larger impact on the main story of the game? Matthew: Both. These side stories that can dovetail back in and affect the larger game as a whole. It’s very much trying to tell a story where the town is its own character. Hopefully, getting to know the people there is a large part of the game, if that’s part of what you’re choosing to explore. Hélène: It was important for us that it stays intimate. It won’t be a huge town with thousands of people, it’s not that large. Chris: You’re going to have three parts to the story. Will these parts have different types of investigations, not following on a narrative with the bloody shirt? Matthew: At least you can say that there’ll be different kinds of investigations. There’ll be a wide-ranging amount of investigations, Sams detective chops will be challenged in many different ways. Hélène: That’s a nice way to put it. Chris: Will the conversations and stories with these characters also have branching elements, for example by choosing a path to make somebody like or dislike you? If so, will you also be able to go back on that? Matthew: Of course, as a narrative adventure game, one of the central ideas is having a conversation with someone and it matters. It doesn’t want to just be a throwaway thing or even just matter to the player in how they’re able to choose what they’re going to say at that moment, rather than going through a bunch of dialogue trees. Chris: I assume that your progression will continue will continue through each episode. Will you be able to go back and revisit things and will these have changed at all? Matthew: Oh yes, of course. As you’re going through the game and making your choices, characters will be affected. That’ll continue on through episodes and you’ll see how they’ve changed. You’ll be able to interact with them more, change them further or try to correct if you feel like you’ve done something bad. You’ll not always necessarily be able to though, it’s a game ground in reality and if there weren’t choices you regretted, it wouldn’t be life. There’ll be no gameplay mechanic like in Life is Strange, letting you rewind. When you make a choice, the choice is made. It doesn’t mean you can’t apologise for what you’ve done. You may be able to, in some cases, apologise or try to make amends. You can’t go back, so if you’re playing through it, a choice is a choice. There’s no timer during most of the choices, so you’ll have as long as you want about the choice you’re making, but then you’ve made it. Hélène: I guess the purpose of creating a narrative game is to create an experience the player can relate to. It means, as you were saying, how it’s difficult sometimes to make choices and how you have to live with them. This is part of the game. Matthew: Also, I think very important is trying to get to a place where there’s hopefully not a good path. Or not a right or a wrong path, there are just the paths that are before you. Chris: So it’s not black or white, it’s shades of grey? Chris: Does that mean there isn’t a moral choice system, for lack of better words? Do you have a variety of endings and paths within the game? Fabrice: We have a few characters that you interact with and their lives will be changed depending on the choices you make. That’s part of the different endings you can have. The way you reach the end of the game will be different for them, giving very different endings for them. Also, there are ones for you, because you will decide what to do with all with that. It’s not clear cut like “you’re there”, but it’s more like life, the effects you have on different people will be vastly different. Chris: Of course, the more you explore and interact with elements, the longer it’ll take, but roughly how long will each episode take to go through? Fabrice: We’re aiming for about three hours. But as you say, you can take more time to explore the town, talk to everybody, to interact with all the possible plots. It could take four or five hours. On average, what we’ve seen with a player playing the main story, normally, takes about three hours. Chris: I imagine with a good replay value due to the branching narratives and multiple paths you can take? Fabrice: Yeah, you can play again with a completely different interaction than you did before. Chris: What formats will Twin Mirror be released on? Chris: Will there be any benefits for the PlayStation 4 Pro and Xbox One X? Fabrice: I don’t remember completely. 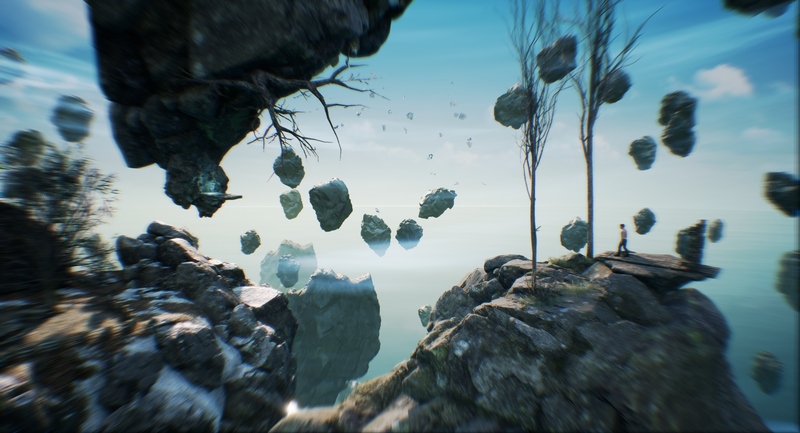 We will have a better resolution for the game, mostly, but apart from that, the game will be similar. Chris: So when exactly is the first episode Twin Mirror going to be released? Fabrice: We don’t have a fixed date yet, just early next year. Chris: Thank you for your time.